soak the chickpeas overnight and cook for 1 - 1.5 hours. Fry the cumin and coriander seeds in a dry pan until they start to crackle. Grind the seeds in a pestle and mortar (alternatively you can use ready ground cumin and ground coriander). Put the chickpeas in a food processor and mash. Add all the other ingredients apart from the oil and mix well. You should get a nice even texture. Take a small portion in your hand and form a ball. Repeat until the mixture is finished. 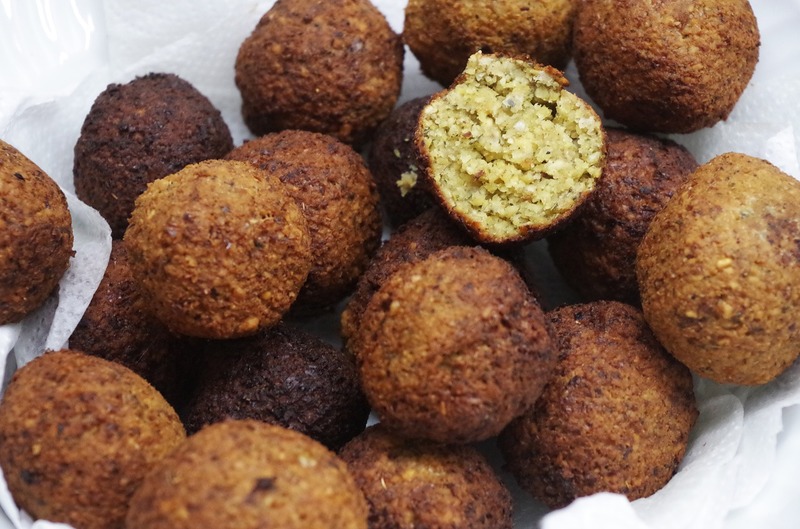 Fry the falafel in hot oil or brush the falafel with some oil and bake in an oven.